Today I took a break from memory wire and turned to my embroidery floss. Using a pattern from the book “Friendship Bracelets 101” by Suzanne McNeill, I made a French Knot Friendship Bracelet. It features colors from the Prism Tie Die Pack. Cut two 60″-72″ lengths of floss. Fold each in half. Make a cow hitch knot to tie your second length onto the center length. The second length will be what will do the knotting. Divide it to the right and left of center, then bring the right strand under the center and over the left strand. Bring the left strand over the center and through the loop created by the right strand (or under, if you prefer to think of it that). This will be your pattern the entire bracelet; I found it helpful to repeat “under then over; over then through” in my head while working on it. Pull the strands tight to knot, then continue until it reaches your desired length! 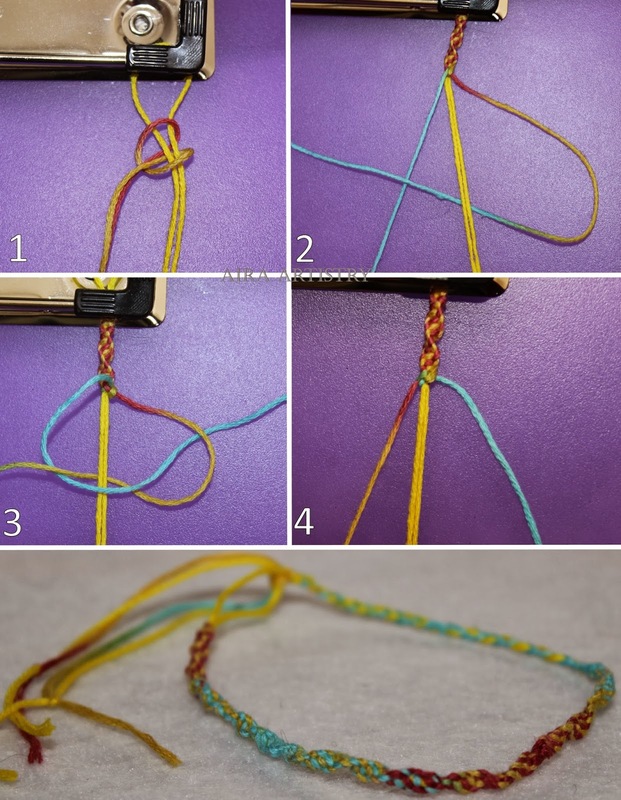 The bracelet will naturally spiral as you work on it, but try to keep the center strands flat.